US manufacturing activity fell more than expected in October. Tariffs are casting uncertainty over factory activity. Price pressures look poised to worsen throughout the fourth quarter. Manufacturing activity in the US slowed to a six-month low in October. And the overwhelming concern within the sector appears to be rising protectionism. „For the consumer, the tariffs are for the most part still an abstract idea, but for manufacturers they are real, and a big problem,“ said Ian Sheperdson, chief economist at Pantheon Macroeconomics. 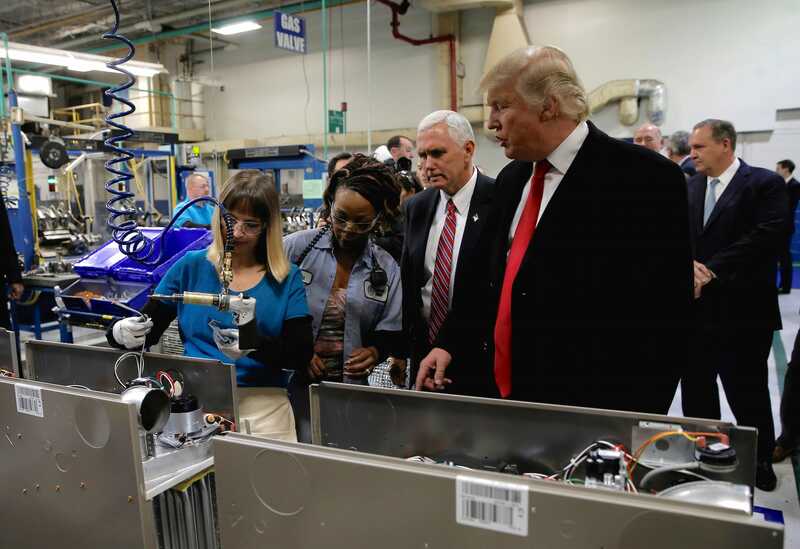 The Institute for Supply Management, a trade group of purchasing executives, said Thursday that its index of national factory activity dropped 2.1 percentage points to 57.7 in October from a month earlier. The decline was largely thanks to uncertainty related to tariffs, according to survey respondents. „Higher costs related to trade tariffs are starting to be passed on to the cost of goods sold,“ another said. President Donald Trump has clashed with several countries on trade, including the US’s biggest business partners. His administration has placed import taxes on $300 billion worth of products so far, prompting retaliatory measures from major economies. It may be just the beginning of price pressures within the manufacturing sector. Jeffries economist Thomas Simons said some of the effects may have been masked as businesses try to rush orders ahead of anticipated price increases. „According to comments by survey respondents, backlogs are starting to fall, so we may start to see more of the negative effects of the tariffs put downward pressure on the ISM PMI heading into the end of the year,“ Simons said. Even as expectations for a meeting between President Donald Trump and Chinese President Xi Jinping eases some of the most high-profile concerns, the trade outlook remains far from certain. „We also need to see significant progress with our European trade partners before the tariff clouds begin to lift,“ Simons added. Trump, however, asserts tariffs will ultimately help defend the US against trade practices perceived as unfair. Bringing back jobs by reducing the trade deficit, which the president views as a general sign of economic weakness, has been one of his signature promises since the campaign trail.